*Contact us for group discounts of 8 or more. 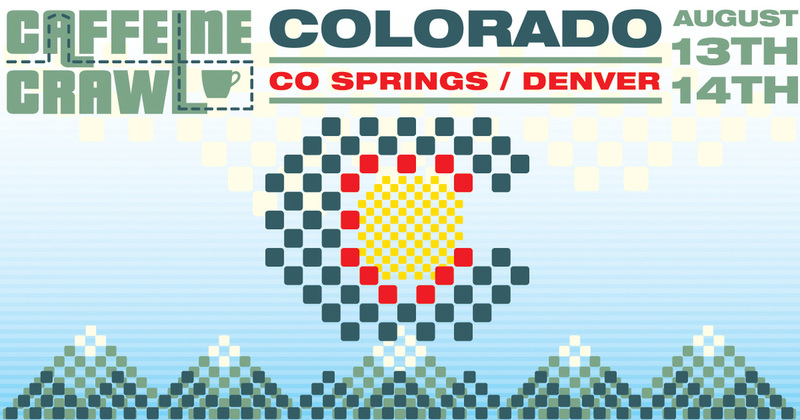 - COLORADO SPECIAL - Each Caffeine Crawl Colorado ticket comes with a complimentary beverage passport from The Passport Program - a $20 value that provides two-for-one drinks at 34 local boozy venues around Colorado Springs, or 24 local coffee venues in Denver. Details on claiming your passport will be emailed to you after Caffeine Crawl ticket purchase. Route 1 begins at 9am sharp at Allegro Coffee Roasters - 4040 Tennyson Street, Denver, CO 80212. Route 2 begins at 10am sharp at Copper Door Coffee Roasters - 932 Jersey St, Denver, CO 80220. Route 3 begins at 10am sharp at Allegro Coffee Roasters - 4040 Tennyson Street, Denver, CO 80212. Route 4 begins at Pablo's Coffee - 630 E 6th Ave, Denver, CO 80203. Route 5 begins at 2pm sharp at Beagle Coffee Co. with Lion Head Coffee pop up at César Chávez park - Utica St, Denver, CO 80212 (Map here). Route 6 begins at 2pm sharp at SloHi Coffee with Golden Chai - 4436 W 29th Ave, Denver, CO 80212.